While I had the sunny BoBunny paper on my table last night I decided to try for one more challenge. This one is from Really Reasonable Ribbon. Their challenge #49 is to use ribbon and flowers somewhere on your project. 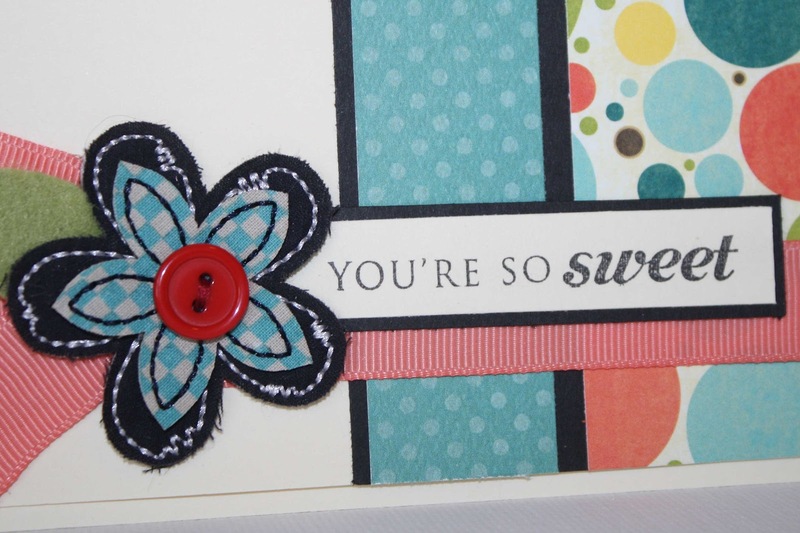 I started with this inspiration card I had pinned on Pinterest a while back. I have some many ideas pinned on their and never seem to take the time to use them. This particular card was created by Niki Estes over at Papertrey Ink. It caught my eye because of the colored paper matted on the black cardstock. I found a pack of Basic Grey Bloomers in my drawer of flowers and the colors match perfectly to my new BoBunny paper. I needed to include a flower somewhere, so I put it in place of the large message used in the inspiration piece. I needed a sentiment, but I didn't want anything too defined. 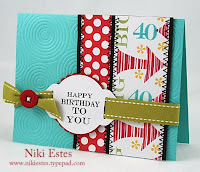 I'd like the card to be pretty versatile and not specifically for a birthday or a thank you. I thought this sentiment suited it best. LOVE your version! So happy and bright - such a GREAT card! 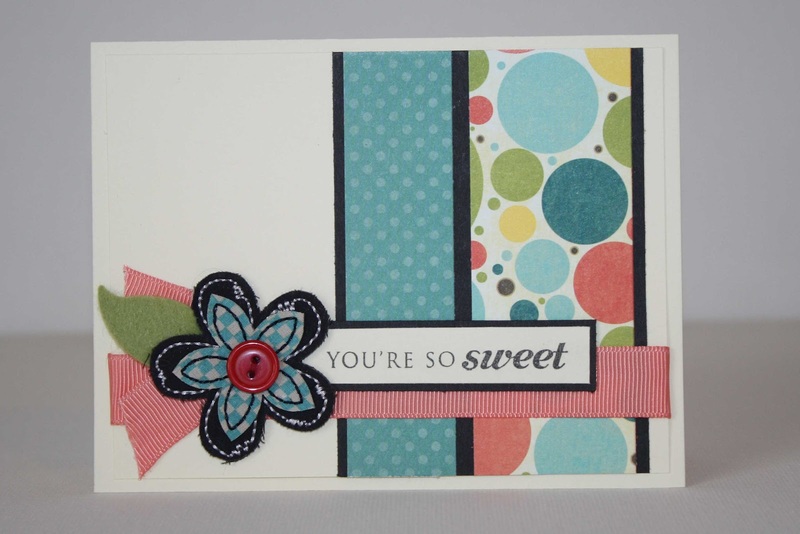 Sweet flowers and pretty paper combo! 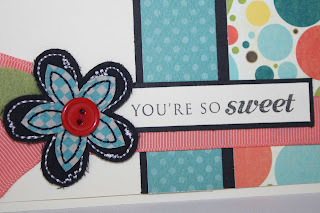 Thank you for joining in our Flowers and Ribbon Challenge at Really Reasonable Ribbon! Hope to see you in our next challenge on the 15th! Karin and Judy! Thank you for the compliments. It was fun to join in the challenge. I'll definitely be back!